We take pride in creating the best van ownership experience. We understand that it is essential for your business, whether small or large, to keep your vehicles in perfect running condition so that you can provide the best service for your customers. To help you, we’ve collected a few VanCARE resources to keep your work van and your business running smoothly. You can expect qualified technicians that specialize in servicing Mercedes-Benz vehicles. Using the latest tools and equipment, you will be back on the road in no time. 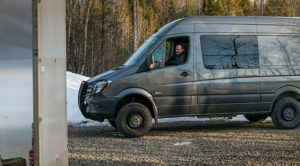 Our services are tailored to address the unique needs of a Van customer. 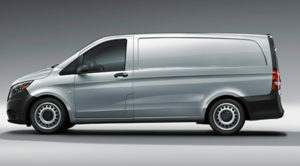 For emergency situations, we try our best to prioritize the scheduling of your Mercedes Van service. This does not apply for standard maintenance repair concerns. We know having your vehicle repaired could create setbacks in your schedule. 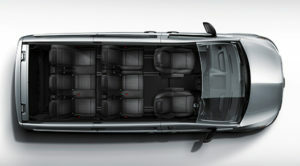 With that in mind, we will provide you with a loaner vehicle while your van is being serviced. From getting your tires replaced to being stranded with no fuel, the 24-Hour Roadside Assistance will come to the rescue. We guarantee the use of Genuine Parts to keep the highest quality reliability, durability, and safety of your Mercedes-Benz Van. Our prepaid maintenance plans will help you save money versus paying for the maintenance as you go. The prepaid plan is fully transferable from person to person, enhances your resale value of the van, and is honored at authorized Mercedes-Benz dealers across Canada. Find out more detail here.